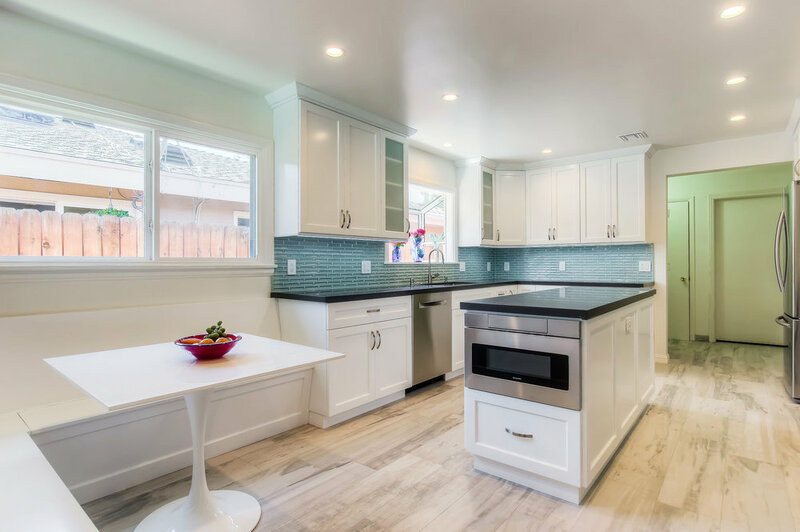 We know remodeling your kitchen can be overwhelming, and there are many details to keep in mind during the design process to make sure everything turns out perfect. If you are planning to renovate your kitchen soon, here are a few tips from our pros! If you cook frequently, you will need more counter space between the range and the sink (and don't forget to add at least 15 inches of countertop between each side of a cooktop and the refrigerator). But remember: too much space between the essentials is going to make cleaning and cooking harder. Consider arranging your three most used areas (sink, range and fridge) to form a "working triangle", with equal distances between all of them. Another good idea for "amateur chefs" is to add a swing-out-tap or faucet extension near the cooktop to fill pots right were you need them! Just like with clothes, dark colors make spaces look smaller, while light colors and natural light visually expand a small kitchen. If you don't love the all-white look but have a small space, consider using soft shades or adding colorful touches such as mosaic tiles and beautiful textured countertops. 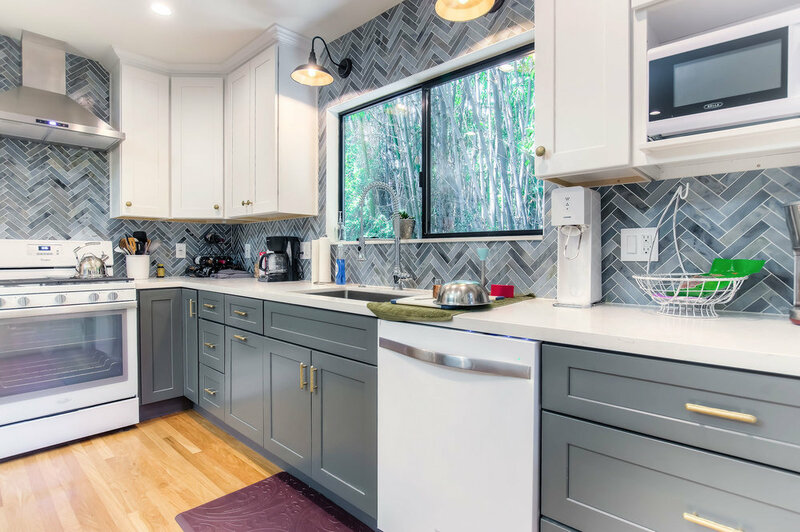 Think of your kitchen as a work of art, and add one interesting focal point, such as a bold kitchen island, patterned cement floors, a mosaic tile backsplash or even a beautiful stove with a metal hood such as bronze. Heavy blocks of cabinets can be boring and make the kitchen look smaller. Consider mixing closed cabinets with open display shelves, glass doors and wine storage. They will not only make your kitchen more stylish and interesting, but also make it look bright and airy. Another detail that can make all the difference in your kitchen is the lightening. Your kitchen needs to be bright without looking like a surgery room. Adding lighting under cabinets is a great idea since they block the light from reaching your countertops, and statement hanging light fixtures are not only functional but they can also infuse the space with personality.